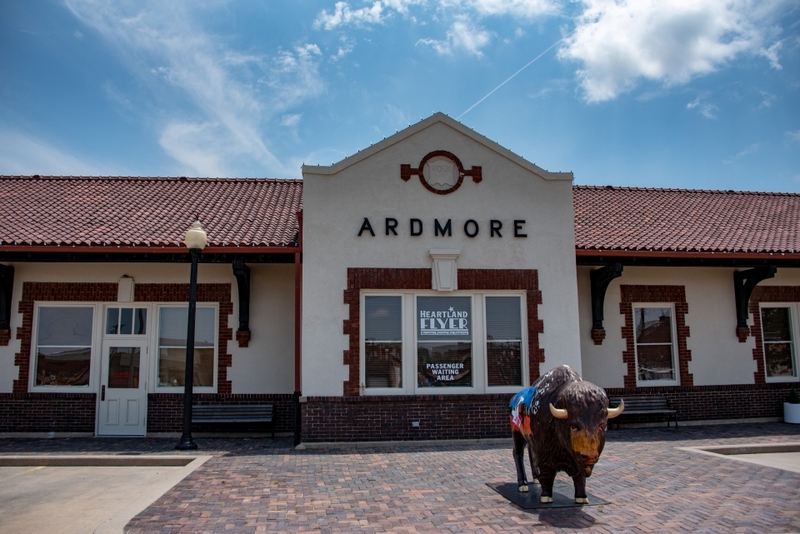 Amtrak's Heartland Flyer makes a daily roundtrip of 418 miles between Oklahoma City and Fort Worth, Texas with a stop in Ardmore at the Santa Fe Depot. One of the city's oldest and most revered buildings, it was erected in 1916. Enjoy the tradition of train travel with the Heartland Flyer and experience all the beautiful scenery and landmarks, such as the Santa Fe Depot, along the way. The Santa Fe Depot was constructed in 1918, but has been painstakingly restored at a total cost of over $1,000,000, with the most recent renovations taking place in 2015. This popular meeting spot hosts all kinds of events, including meetings, receptions, parties, weddings, reunions and other celebrations. The Depot forms the eastern edge of Depot Park which is the permanent home of the Mercy Train. 6 A.M. - 12. A.M.6 A.M. - 12. A.M.